Yay, they're back!! Trilogy Excursions' Captain Seth spotted a Humpback on October 4, 2018. They didn't get a photo so it may not be counted as official. PWF spotted a Humpback a couple of miles north of Molokini crater on October 8th, 2018. Contact us for more info on Humpback Whales and booking a condo this winter to go see them. FYI - After 16 years of ownership we have sold our condo. We can still rent it out for you so give us a call. ​It is a oceanfront 2 Br/2 Ba condo with beautiful views from the 4th floor. Totally updated kitchen and bathrooms. Click on "West Maui Condos For Rent" button below to see the areas of Maui where the condos are located. The prices shown on each condo are for comparison purposes only the actual price may vary based on demand. Prices are subject to change without notice. Connect with us to start planning your trip. Click on button below. Tired of spending lots of time and frustration looking for the perfect condo on numerous web pages??? We are here to help you!!! We are your Minnesota connection; moved to Maui from Maplewood, MN lived there for 7+ years and now we have moved back to Rosemount, MN so we can direct you to the best value condo for your money! We help pinpoint the best Maui condo rental based on your needs: budget, # of bedrooms, location, etc... We have access to over 470+ vacation rentals at the popular resorts, as well as the little known gems. This personalized service costs you nothing extra. Often we SAVE you money as we can help you find the cheapest airfare and car rental (at no charge). CALL US Today for details on how to save money on these two big expenses. Please let us know what we can help you with by contacting us at the phone numbers or email address below and/or by entering your info below. Search our web site for the condo complex you're looking for! All you need to do is give us your travel info in the form below and hit SUBMIT. Consistently voted # 1 island in the world, Maui has numerous things to do for vacationers. from fabulous beaches to fantastic dining and nightlife. Lahaina is a historical town and a favorite place to visit for shopping and restaurants. Art galleries, the famous Banyan tree and old court house are things to see. 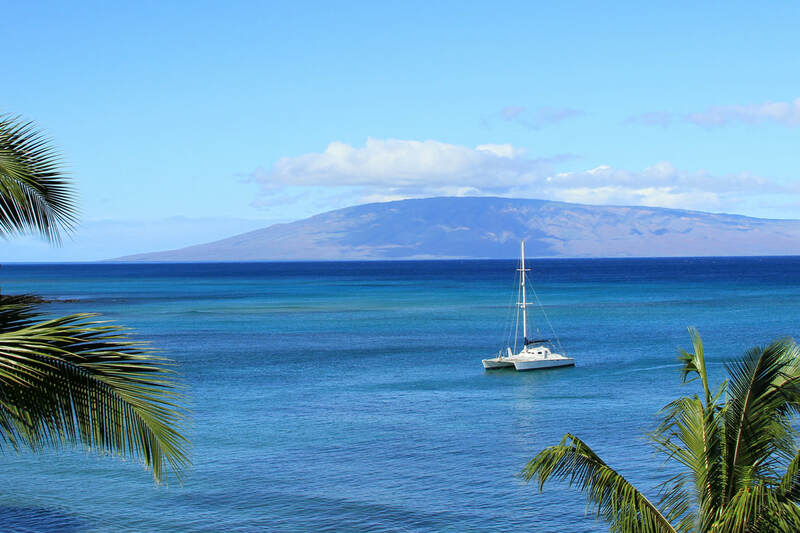 Nearby, here in West Maui, you will also find the tropical resort areas of Kaanapali, Napili and Kapalua. Come see all that Maui has to offer! We will help you set up and plan the Activities you're interested in. Scuba diving and day trips to Lanai. There is majestic Haleakala to see the sun rise or set from the crater at 10,023 ft. Hiking aplenty. The Road to Hana to see a Black Sand beach, waterfalls and a rainforest. If you don’t want to get wet, there’s even a submarine that can take you into the deeps while you view its mysteries from the comfort of a warm cabin. Helicopter tours to take in views of the whole island, including incredible waterfalls, sea cliffs and forests you couldn't view on foot. Please enter your budget; either total budget that would include the total lodging, any fees and taxes (add 13.14%) OR by a nightly rate. Enter any questions, your preferred method for us to contact you or comments.